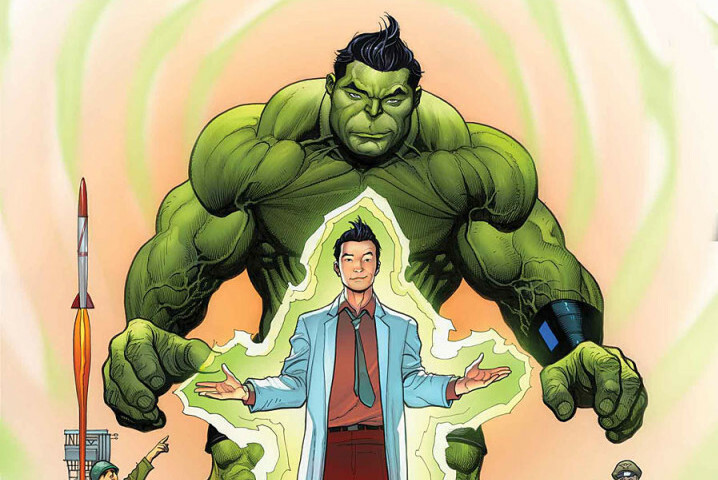 This week’s minorities in cartoons entry is Amadeus Cho, a Marvel comics character. Amadeus first appeared in “Amazing Fantasy” (vol. 2) #15 (January 2006). He was created by Greg Pak and Takeshi Miyazawa. Amadeus is a Korean-American teenager who’s one of the Marvel Universe’s biggest geniuses. One day, he entered and won the Excello soap company’s contest for young geniuses. Unfortunately, it was a plot by the company’s owner to eliminate those he felt was a rival to his own genius. Seeing his parents killed (and sister go missing), Amadeus went on the run. He eventually ran into, and befriended, heroes including the Hulk and (later) Marvel’s version of Hercules. Amadeus became the latter’s sidekick and accompanied Hercules on various adventures. During his early adventures, Amadeus adopted a coyote pup, which he named “Kerberos.” The name was chosen in a reader contest. It refers to Greek mythology, the computer network authentication protocol, and famed comics artist Jack Kirby. In 2015, Amadeus somehow gained the Hulk’s powers, and became the new Incredible Hulk. Amadeus also got his own ongoing title, “The Totally Awesome Hulk.” The comic shows him on adventures with his now-reunited sister, Maddy (short for Madame Curie) Cho. Amadeus also appeared on Disney XD’s “Ultimate Spider-Man.” Eric Bauza voiced Amadeus.